Apple, like most big companies, is pretty vigilant about protecting its intellectual property via copyright, patents, and trademarks. Unfortunately, that policy doesn’t seem to have extended to the names of some of its notable employees. 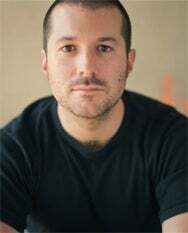 Jonathan Ive, Apple’s senior vice president of industrial design, has lost a bid to gain control of the domain names using his name. U.K. citizen Harry Jones registered several permutations of the Apple design maven’s name in 2004, including jonathanive.com, jony-ive.com, jonathan-ive.com, and jonyive.com, all of which point to Jones’s fan site about Ive. After a failed attempt to buy out Jones—he asked for $400,000 but Apple offered him only $10,000—the notoriously publicity-shy Ive took the matter to the World Intellectual Property Organisation (WIPO). Unfortunately for Ive, WIPO’s domain name dispute resolution process stipulates that the domain name can be transferred if the party initiating the request can show that trademark rights are at stake. While Ive did apply for trademark status for his name, the applications were filed in October 2008 and remain under consideration. And since Apple doesn’t market its products using Ive’s name, WIPO ruled that the Apple design guru’s name didn’t carry sufficient weight to be considered a common law mark. For the curious, it appears that stevejobs.com and steve-jobs.com are registered in Korea and Japan, respectively, though neither site seems particularly interested in the Apple CEO beyond his name's prominence. For now, then, Jones can keep running his fan site from the domains in question, though Ive could press the matter in the future, if, for example, the trademark situation changes or Apple were to start using his name to sell its products. Personally, we await the Limited Edition Jony Ive iPod with eager anticipation.